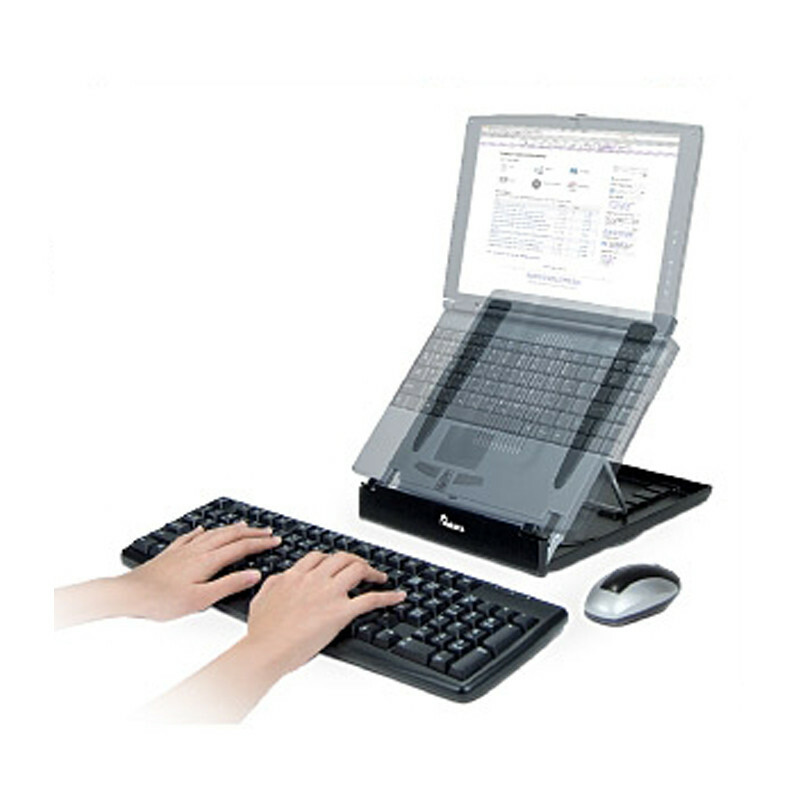 The Ergologic Laptop Stand with Fan elevates the laptop to the correct height for ergonomic viewing of the laptop monitor. 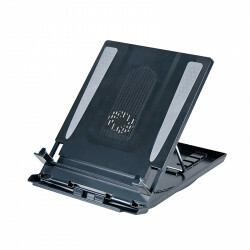 Adjustable platform with 5 viewing angles providing computing comfort. Folds flat for compact storage and travel. Rises laptop up to 21cm (8.25?) 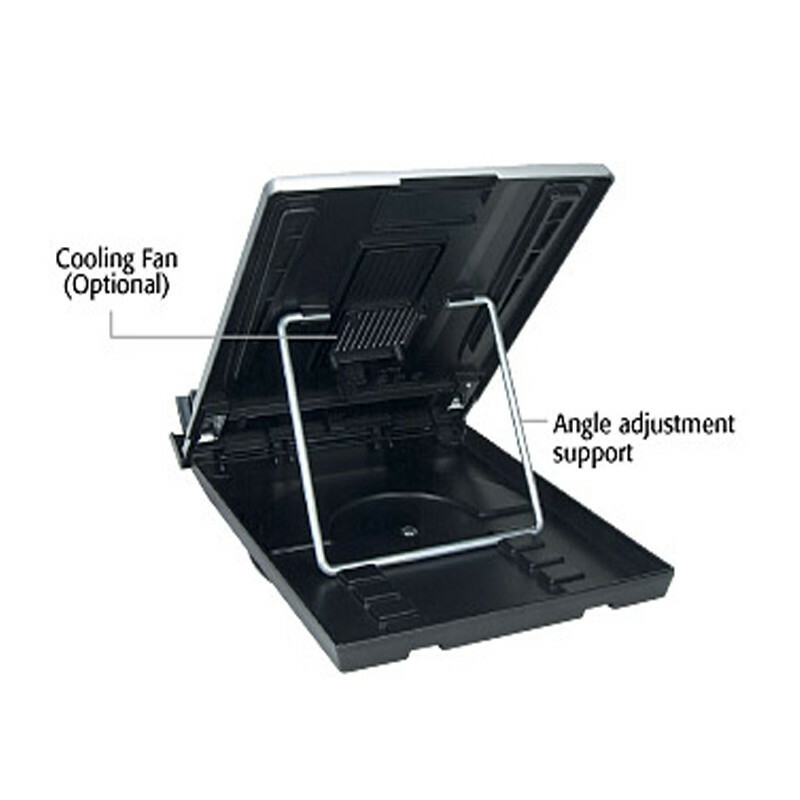 and the built-in cooling fan offers laptop heat dissipation. 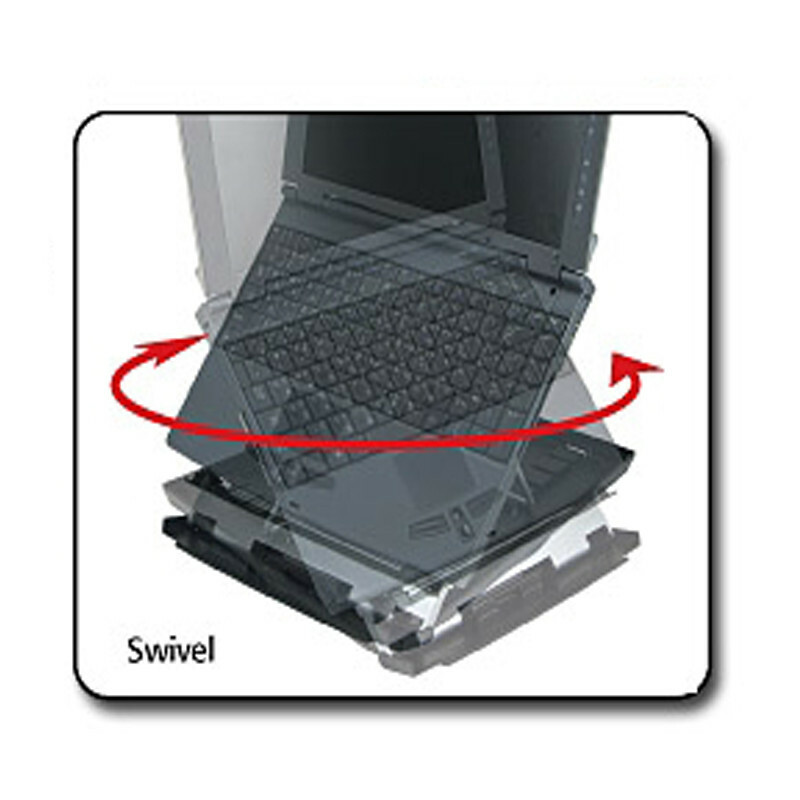 Built-in swivel base for easy viewing angle adjustments. 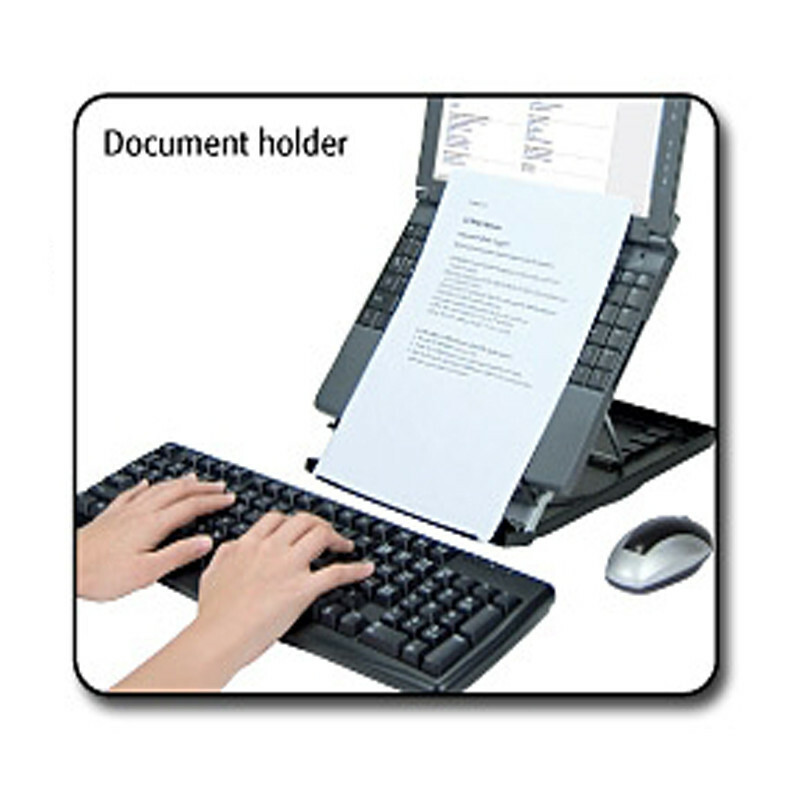 Built-in document holder function.